Edda Community Arts and Library is an independent library and arts venue. 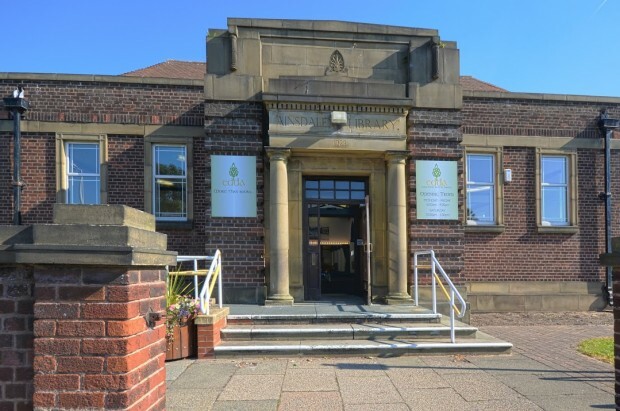 Originally Ainsdale Library, a Sefton Council facility, it closed in November 2013 due to council cuts. Edda is part of Bridge Inn Community Farm Ltd, a company providing day services for adults with learning difficulties and mental health issues. Bridge Inn was set up in May 2010 to provide a quality work based and educational service. One of our core beliefs is team work and diversity and with this in mind we began our performing arts classes. These proved very popular and we were looking to expand when the opportunity came to lease the Ainsdale Library building . We wanted a more significant community involvement creating a powerful sense of inclusion and understanding for our students and the public alike. So the idea developed into the concept of a multi functional building. From the initial bid to Sefton Council it took 7 months and then a further 13 months once the bid was successful for the lease to get through Sefton’s legal department. We reopened in June 2015 after fully refurbishing the building; restoring many of the original 1930’s features. We have installed a stage and theatre lighting system creating a fully equipped designated space for our performing arts classes and we have redecorated throughout. We also have a new kitchen and an accessible toilet and baby change facility which are open to the public. We received funds from Sefton Council community support fund to assist with this. We have a 10 year lease for which we pay rent and are also responsible for all repairs and maintenance. The council stipulated that there was to be no financial burden on the Council, so it has been a significant personal investment. We have a computerised library system and have 530 members of the library to date and 7000 books on the system. We have a range of books and daily newspapers. The library is free to join and borrow books. Libraries and Arts go hand in hand. The library is a part of what we do and, as such, relies on our other services financially. The overheads of the building are met by our day service provision. We have classes in drama, dance, music and creative writing during the day, and yoga and ukulele in the evening, and an under 5s music class. Our rooms are available for hire and, at the weekend, we are a performance venue for local artists and musicians. We have jazz, poetry, theatre and children’s events. We are currently refurbishing the grounds and gardens and will be part of the Ainsdale Village entry for North West in Bloom. Throughout there is an atmosphere of cultural activity, so as you choose your book you may be entertained by a ukulele class or poetry reading or even a drumming workshop. It is different, it’s not quiet, nobody will shush you, indeed you will be encouraged to become involved. It has taken a lot of hard work and long days and evenings. The people of Ainsdale have been very supportive and as Edda approaches its 1st birthday, we are pleased to be an important part of the community once again. When Ainsdale lost their council library it was devastating. A year ago we welcomed a Edda and everything changed. 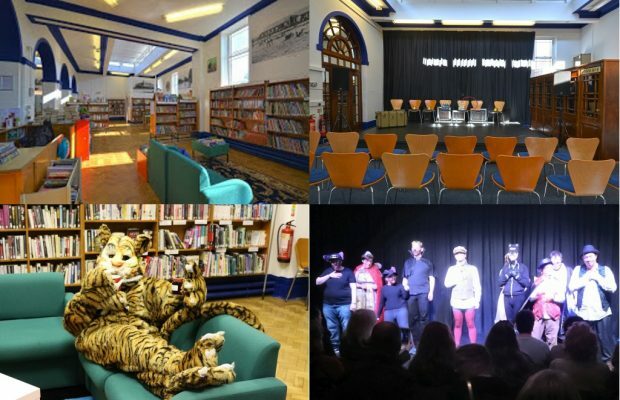 It is fast becoming the hub of our community providing so many activities including evening entertainment as diverse as opera to motown to big band....and on our doorstep with prices that are acceptable.AND we still have a library. Again we see the term 'community library', with little explaination of what this actually means. Is the library run by experienced and qualified staff, run purely by volunteers, or a combination of the two? Who selects and provides the library stock? Who provides the training and oversees the volunteers? How is it possible to add all these features without losing large chucnks of the library space? And if this is so sucessful why is it that the council could not done this and kept it as a public library?